Complete set of Rain City Item Shop's hard enamel Bad Fan Art also a Bee pins! 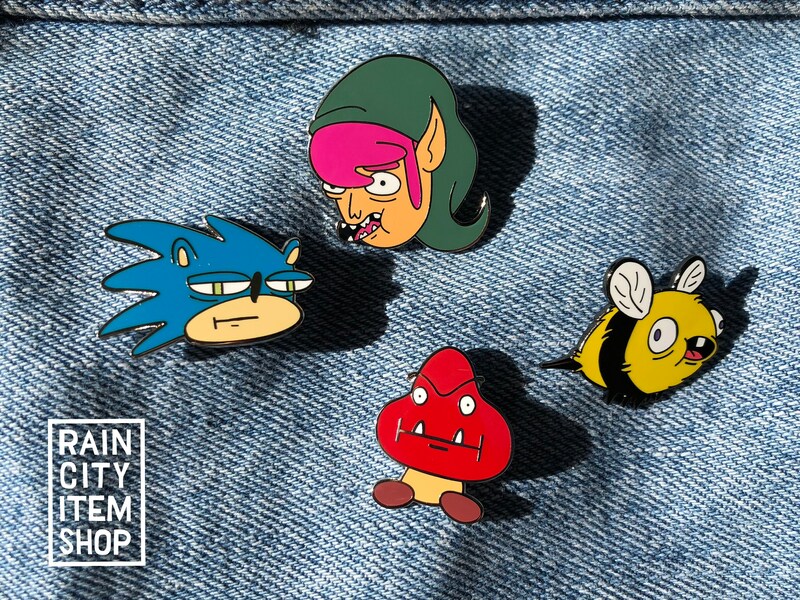 This includes all 4 pins, Sanic, Lonk, Gormba, and a Bee! At this price it's like buying three and getting the fourth for free. Also while supplies last a FREE sheet of stickers! These are some top notch hard enamel pins on custom backer cards. Sanic, Lonk, and Bee measure 1.25" at their longest points and the Gormba 1".